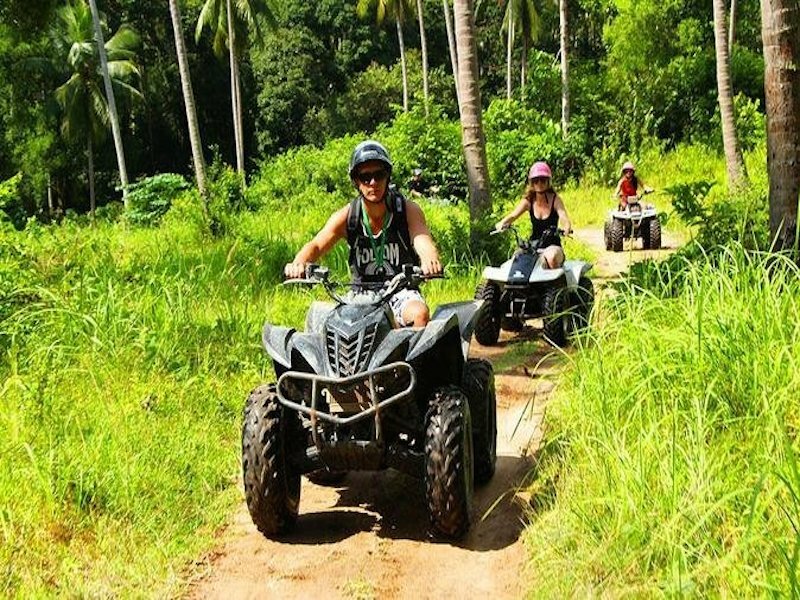 The ATV Quad bike tours can be for 1 hour or 2 hour and morning or afternoon trips. 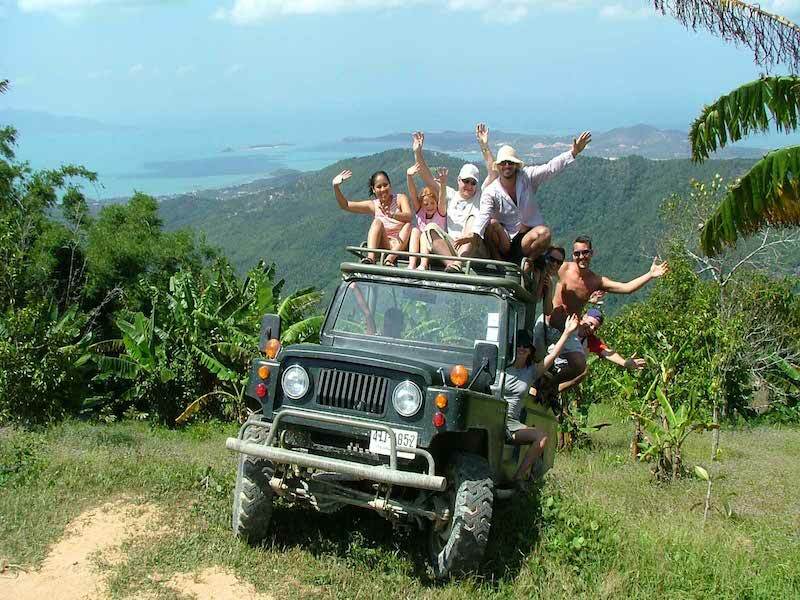 After receiving instruction on how to drive the quad bike and safety aspects a few practice rounds later the tour take you through the jungle, across a river and past coconut groves experiencing great scenery of the Koh Samui hinterland. The 2 hour tour extends to include a secret waterfall (hiddden) where you can enjoy a dip.